Core Weight – Don’t overdo it on the weight. Picking a heavier ball than you need will not improve your game. Pick a weight that is heavy enough without straining yourself. Remember, you’re going to be using this ball a couple dozen times a game. What feels good on your first throw isn’t necessarily going to feel right a game or two in. In general, the heavier the core, the sooner the ball will start to hook, while lighter cores hook further down the lane. Finger Fit – Finger holes on house balls scale with ball weight, but your own ball can be custom drilled to perfectly fit your grip. Finger holes should be loose enough that you can easily slip your fingers out but not so loose that you lose control of the ball. Ball Cover Stock – Urethane cover stocks are good for bowlers who want to increase speed while retaining some hook. Reactive, resin, and particle ball cover stocks tend to be even better for hooking, but have the potential to lose a little speed. Most bowlers tend toward reactive resin over urethane. Of course, cover stocks of any material can be polished to increase speed (at the expense of hook). Need help finding the perfect fit? Visit Country Pro Shop, our onsite full service bowling pro shop. 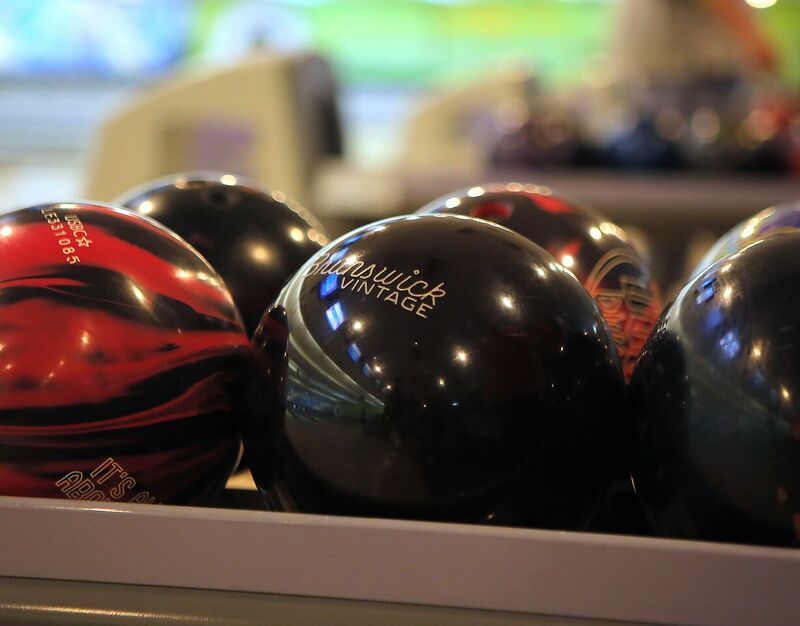 We’ll give you tips on how to choose the best bowling ball, teach you about the benefits of various materials, and even give you bowling lessons. Once you have your perfect ball, it’s time to bowl! Check out our upcoming Staten Island events and bowling specials, and then make your plans to visit Rab’s Country Lanes!